Perfect for party favours or as a sweet treat during your celebration, these high-quality chocolate squares are part of the ‘Shimmering Snowflake’ party ware range. 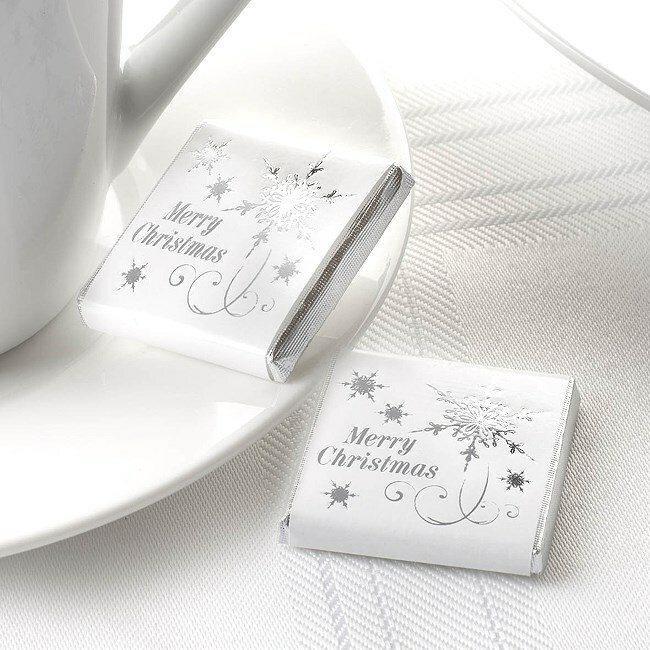 Supplied in packs of 20, these delicious, foil-wrapped chocolates feature silver ‘Merry Christmas’ text on white wrappers, alongside a snowflake motif. Made in the UK by an established family chocolatier.